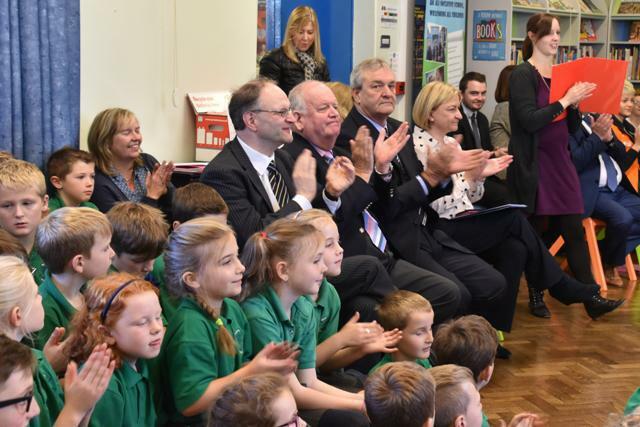 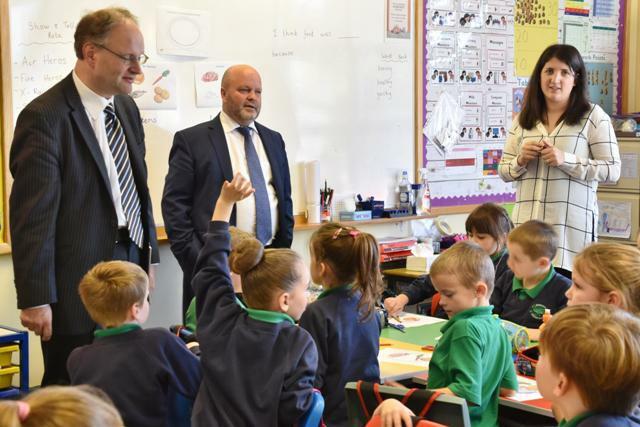 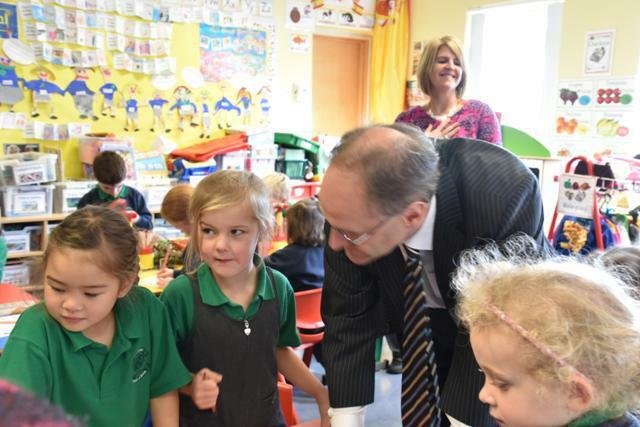 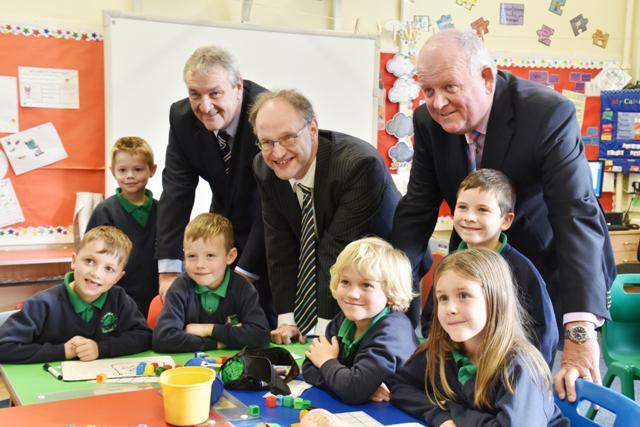 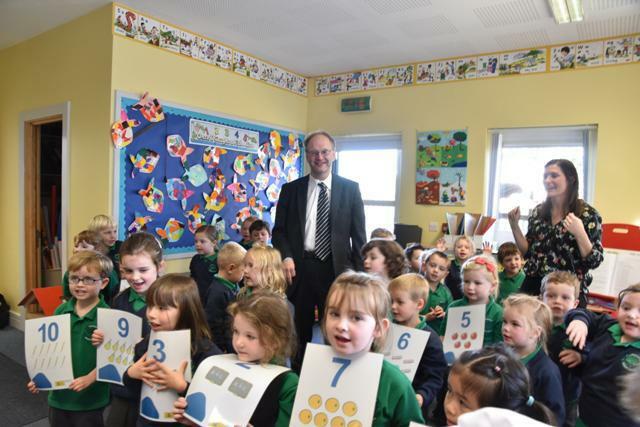 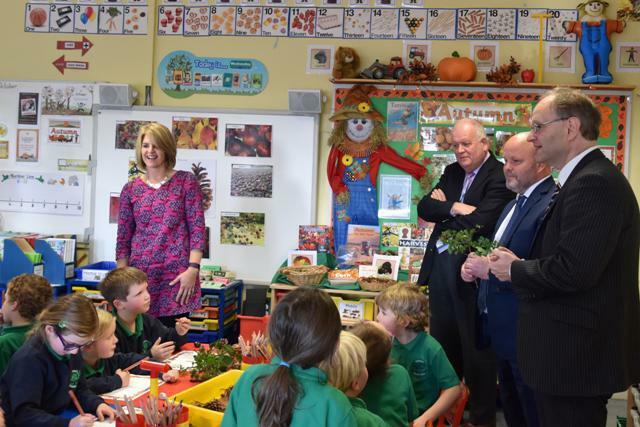 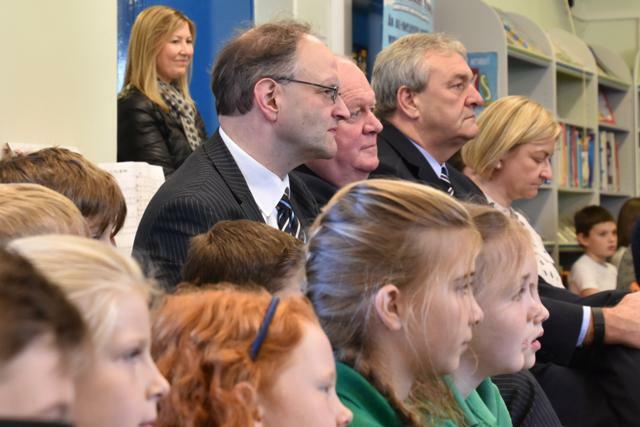 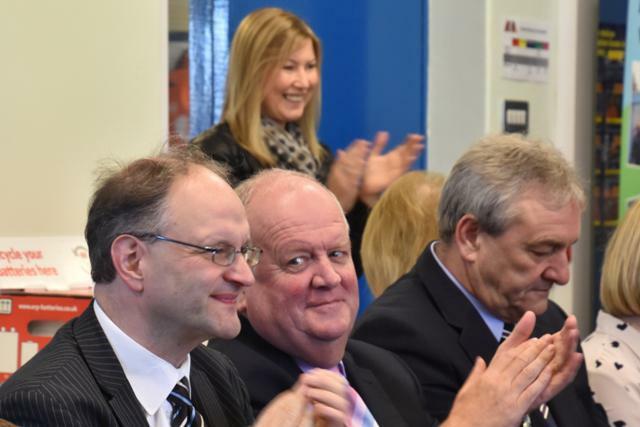 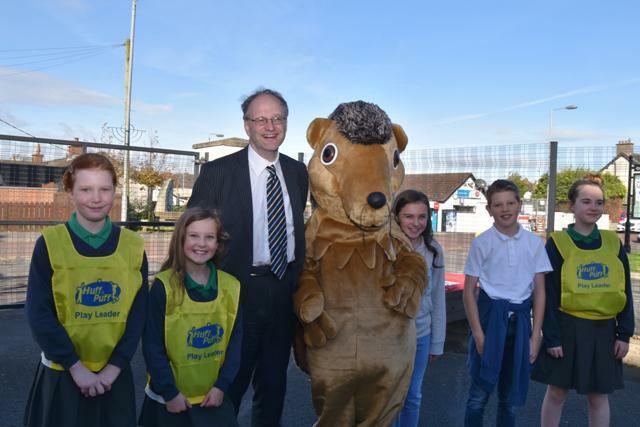 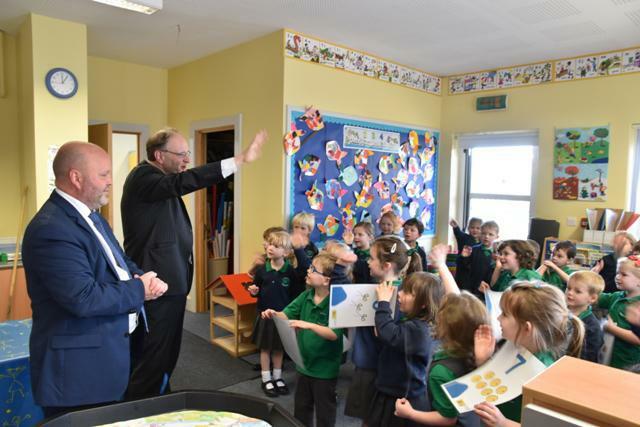 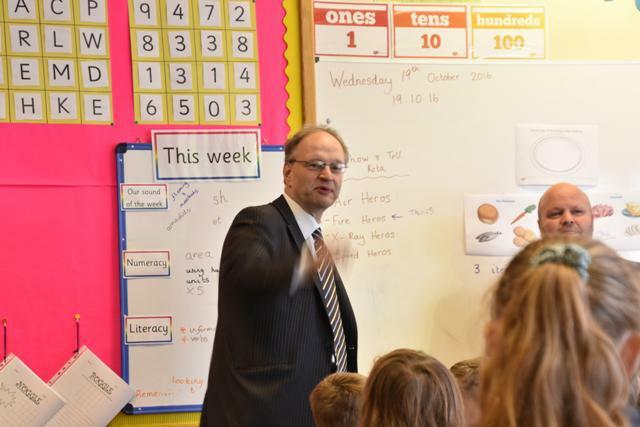 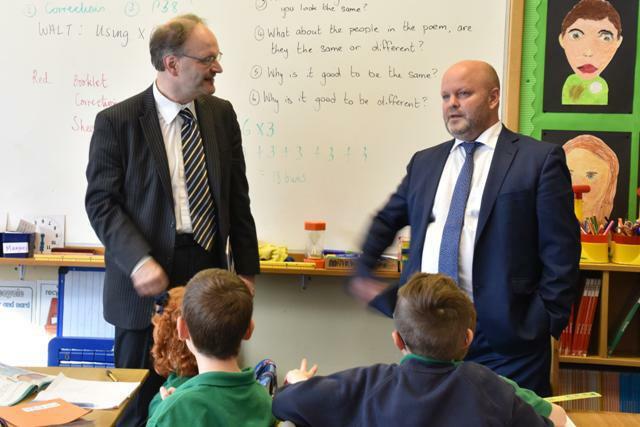 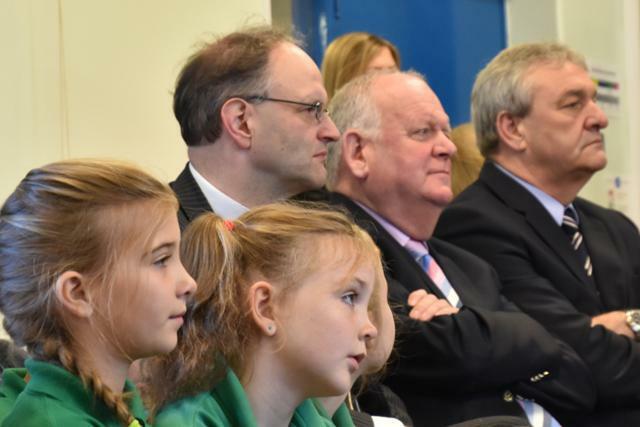 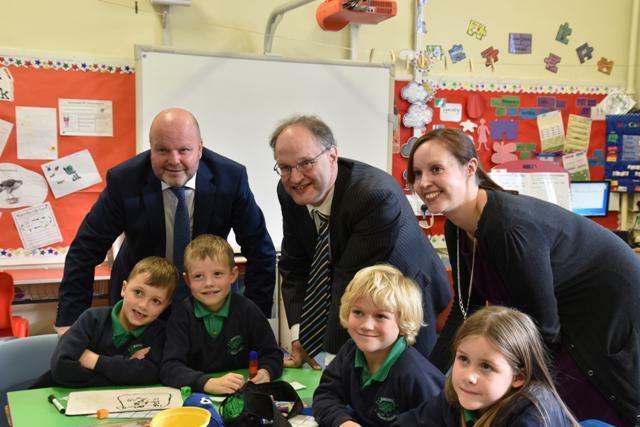 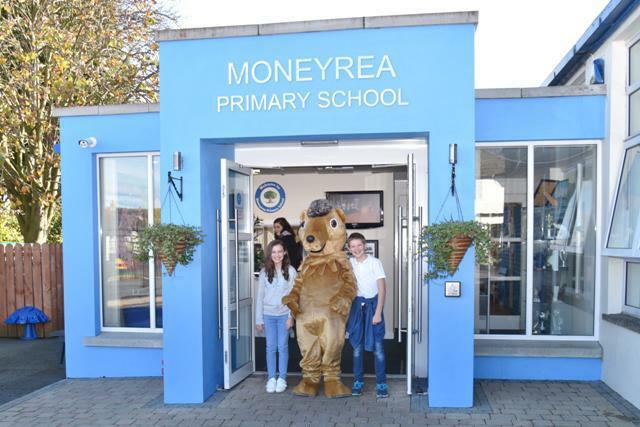 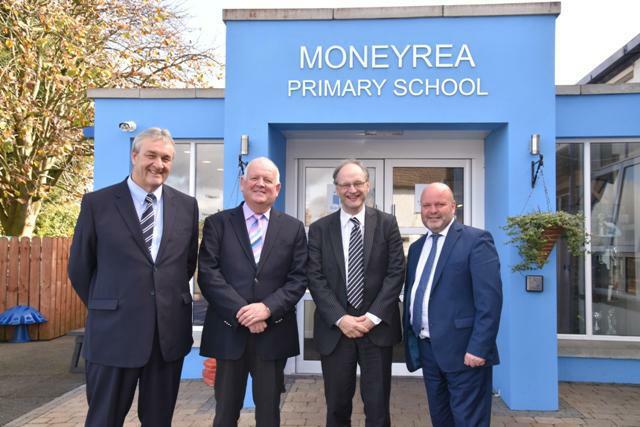 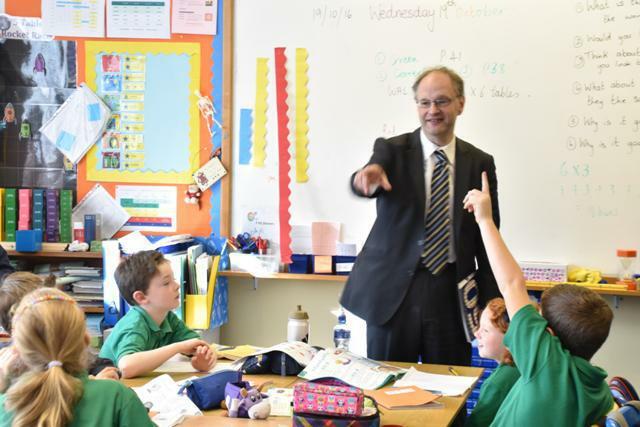 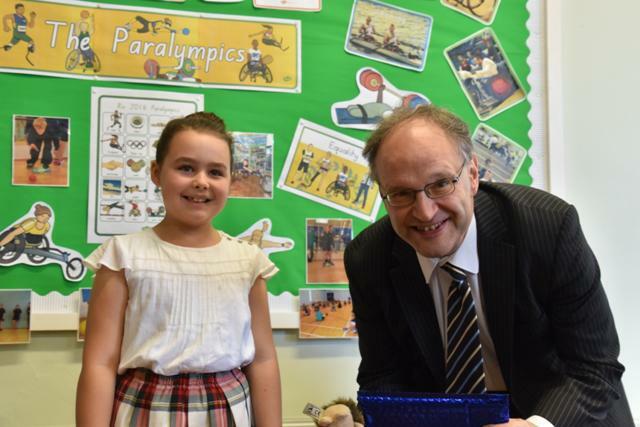 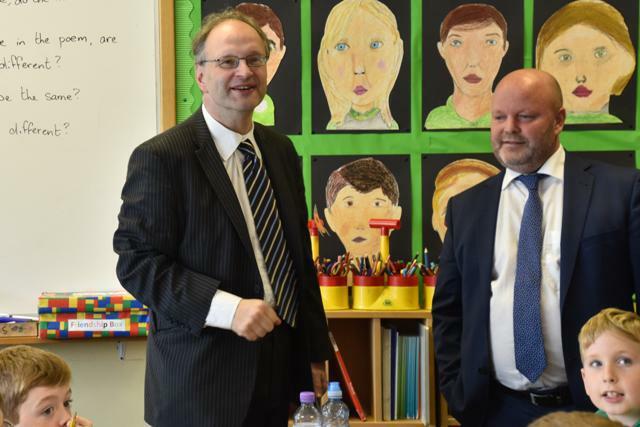 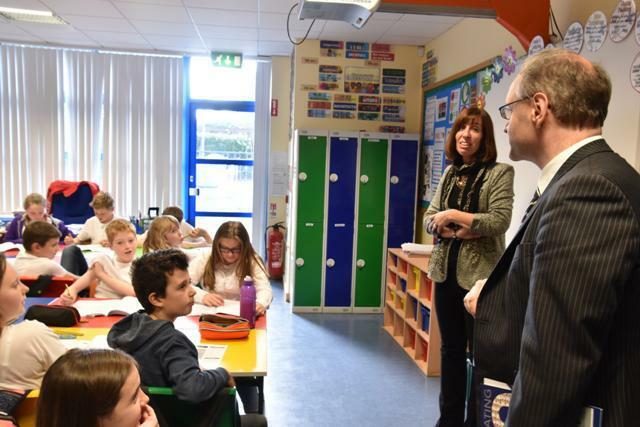 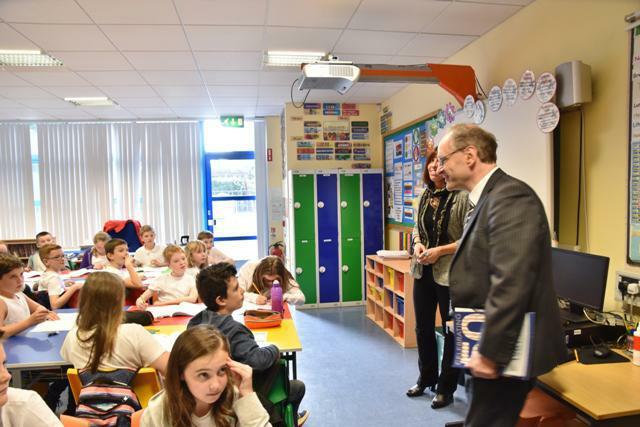 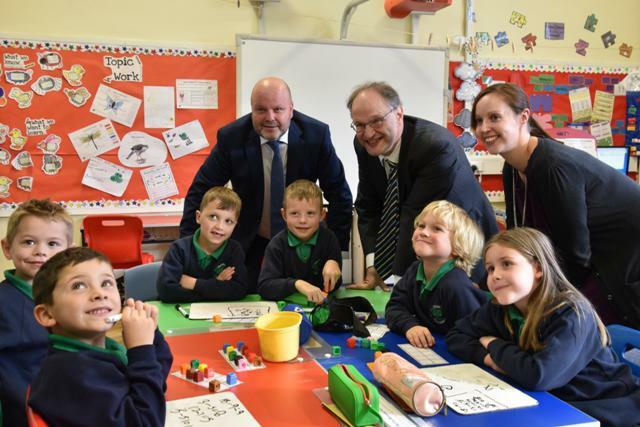 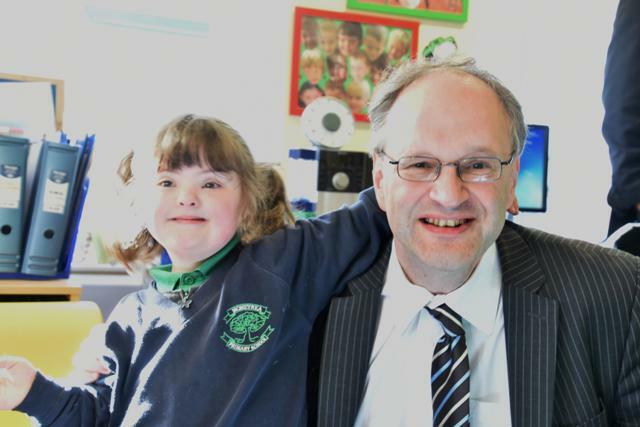 Education Minister, Mr Peter Weir visited Moneyrea Primary School today. 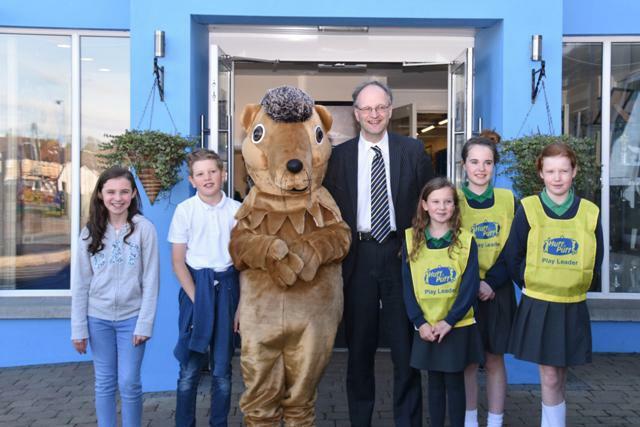 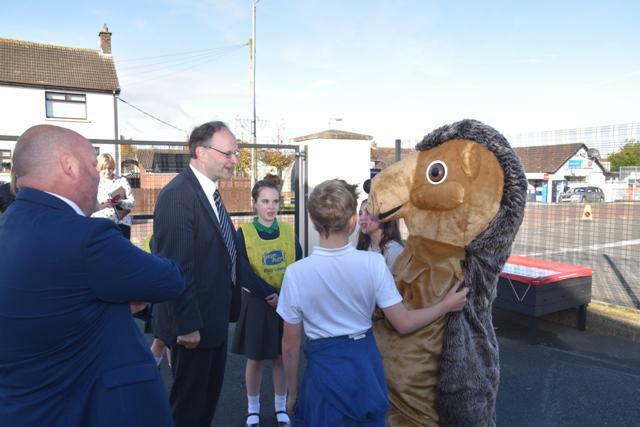 The Minister was greeted on arrival by Hugo, the school's mascot. 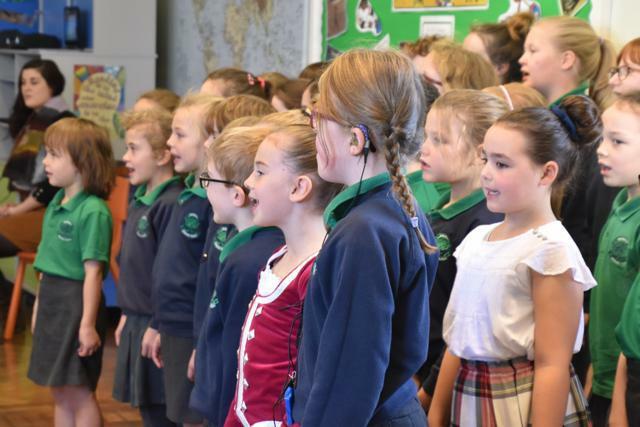 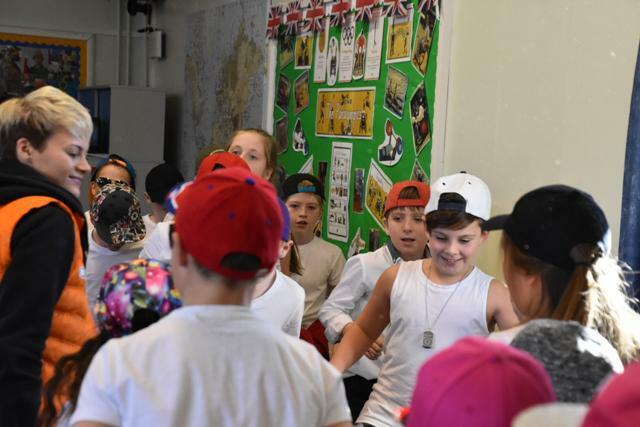 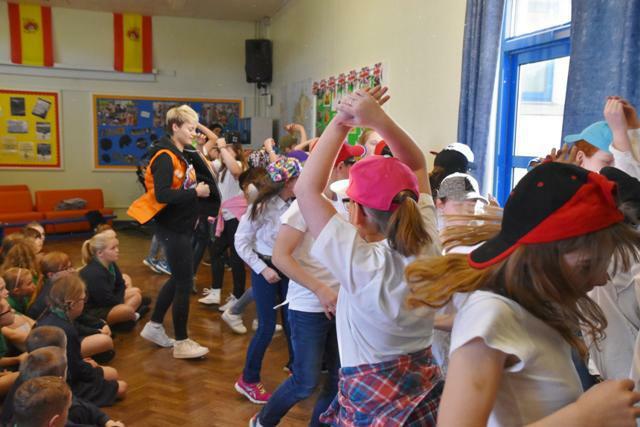 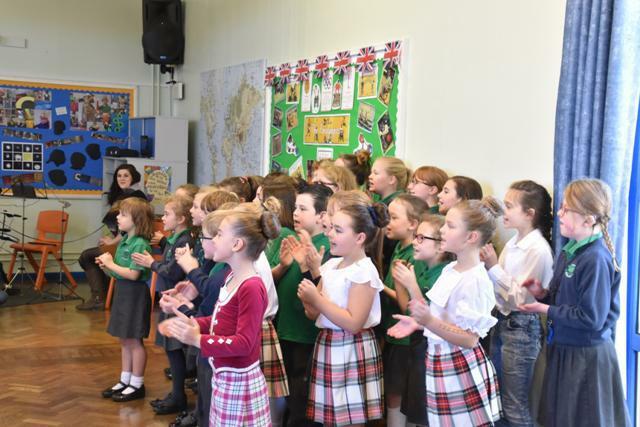 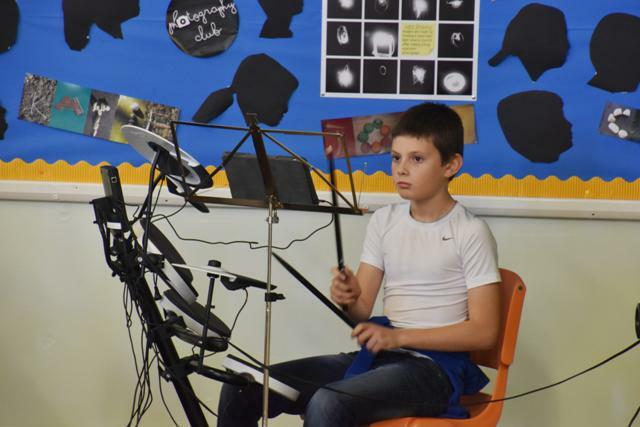 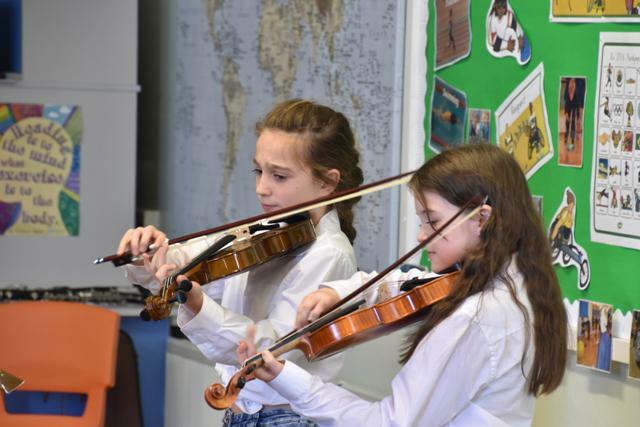 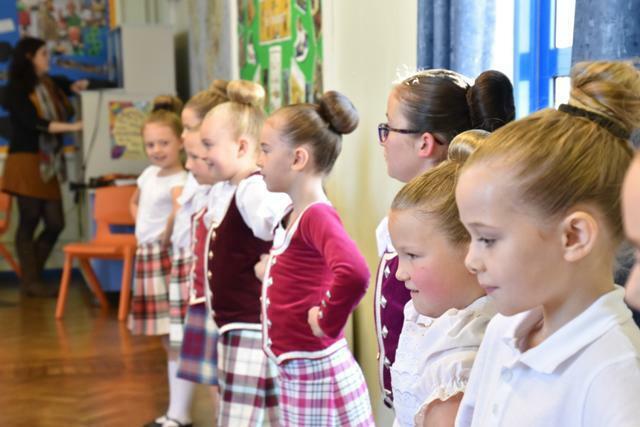 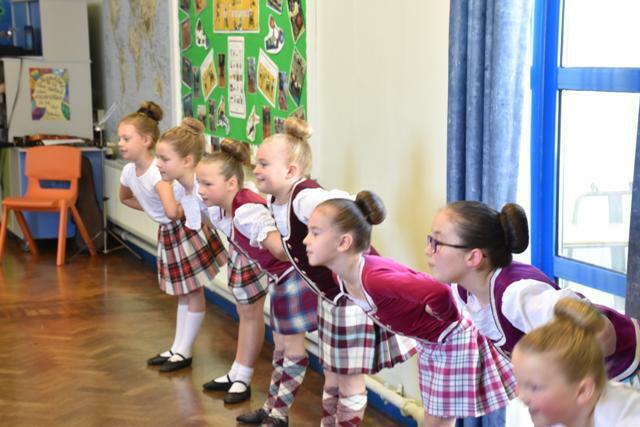 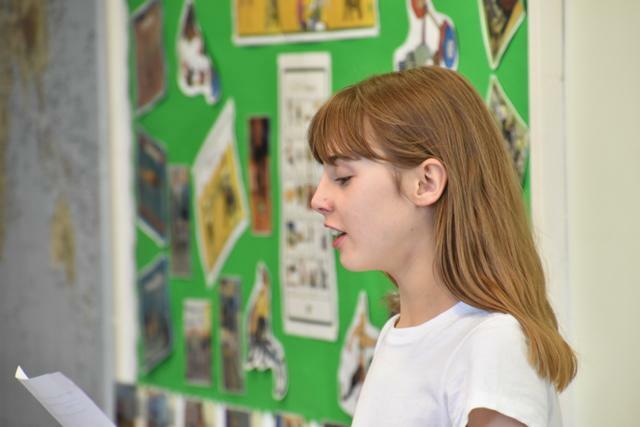 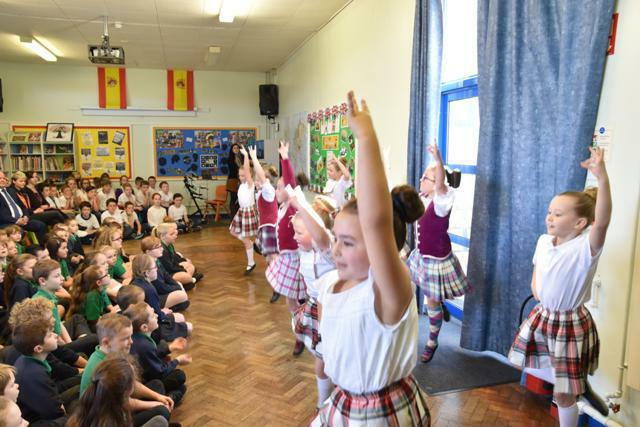 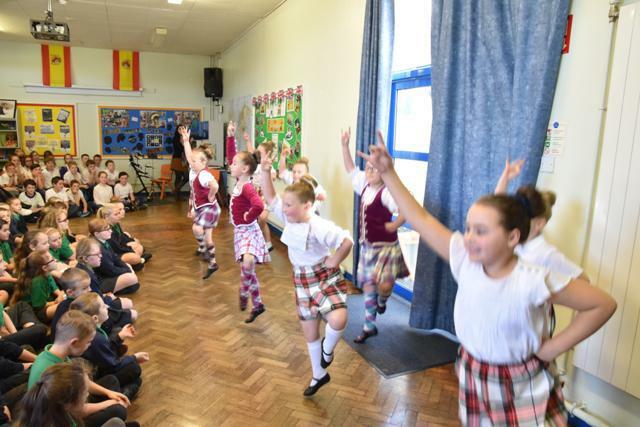 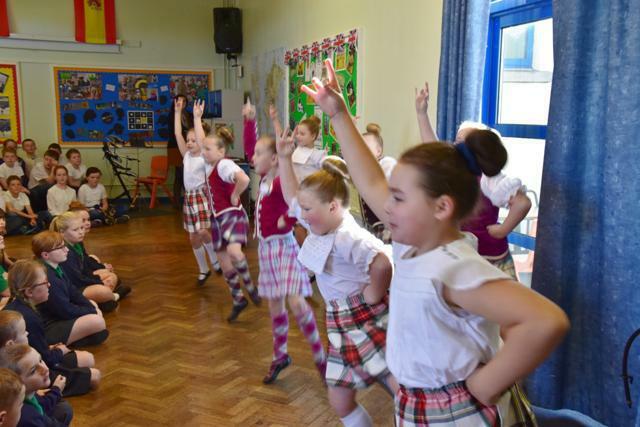 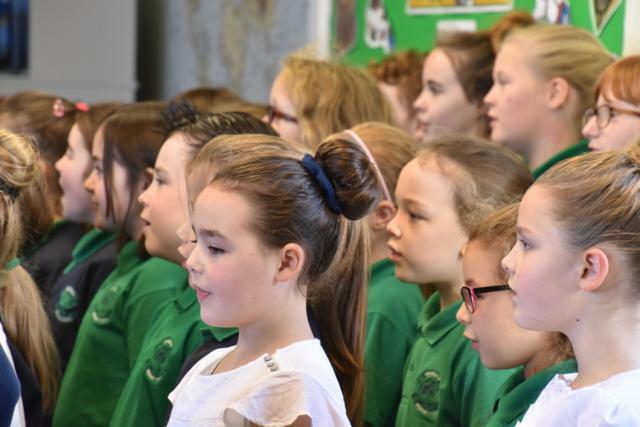 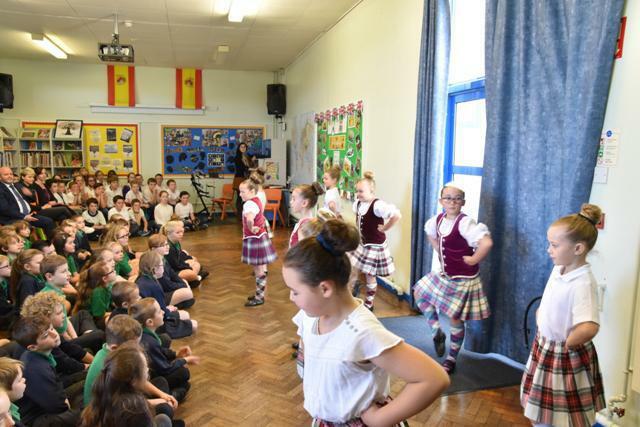 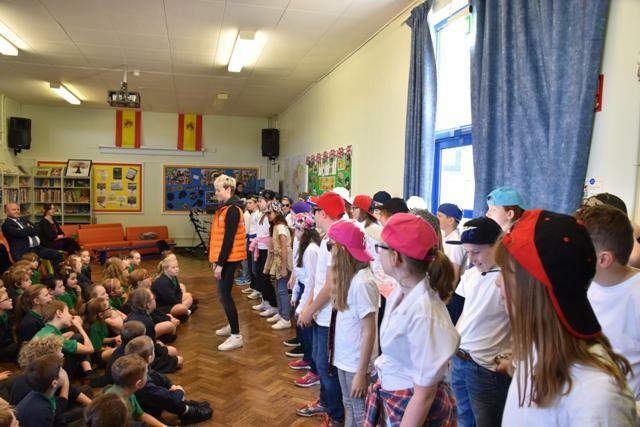 At the welcome assembly Minister Weir was treated to performances by Moneyrea's choir, talented musicians, a Highland Fling and a lively Hip Hop display. 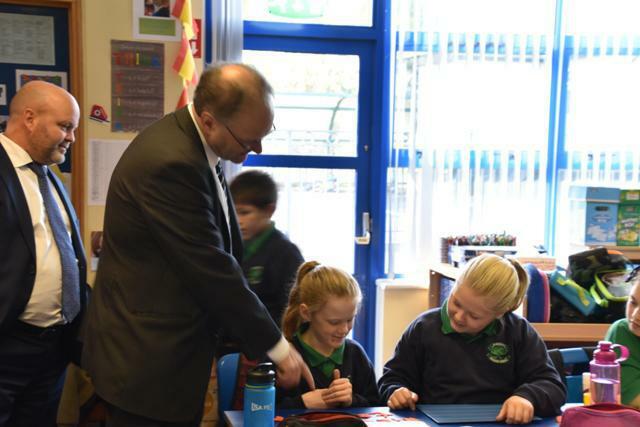 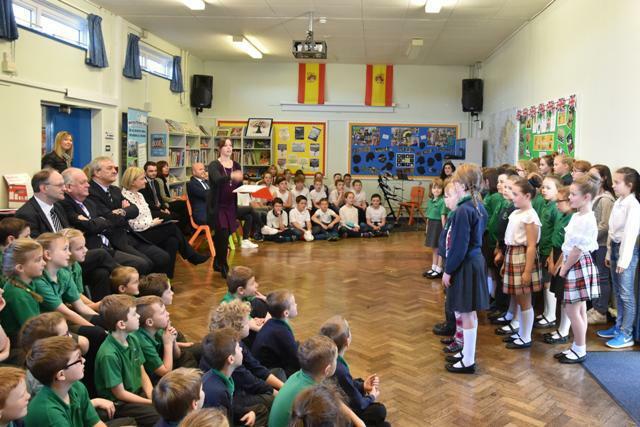 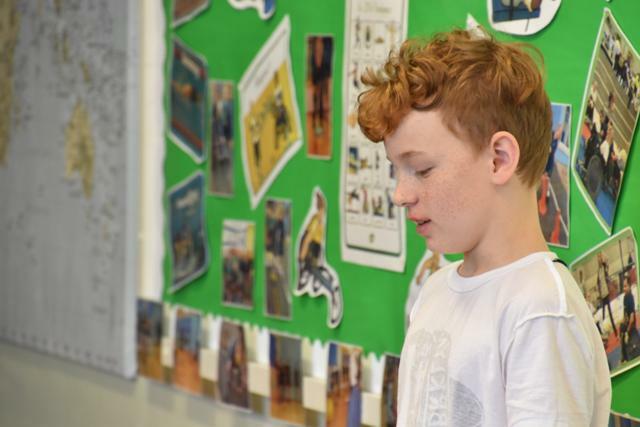 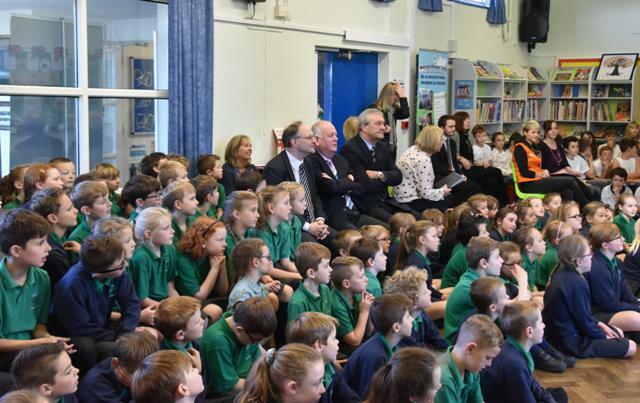 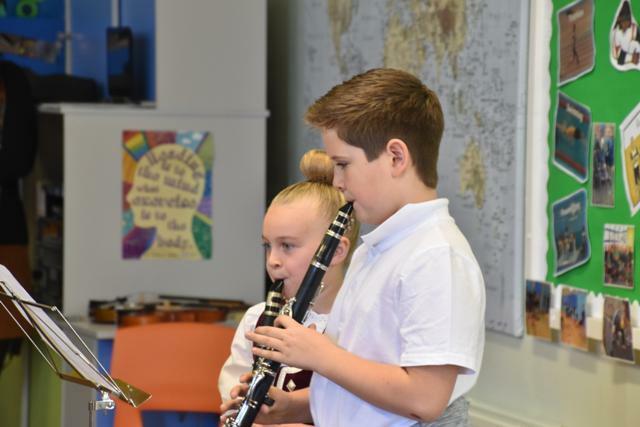 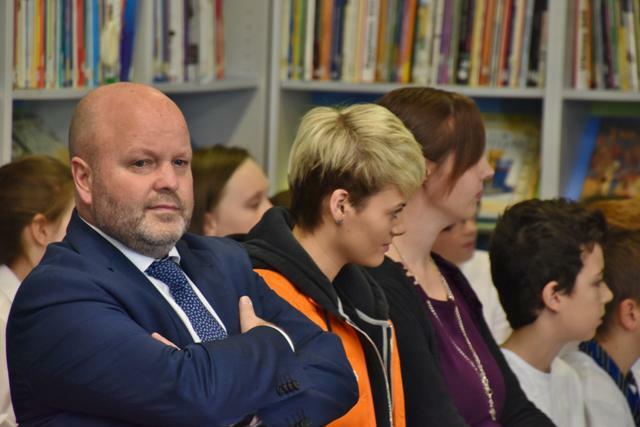 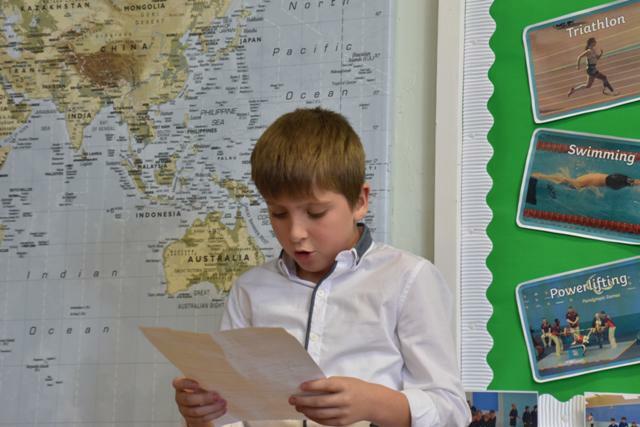 After assembly, the Minister was taken on a tour of the school, visiting each class and chatting with the staff and pupils. 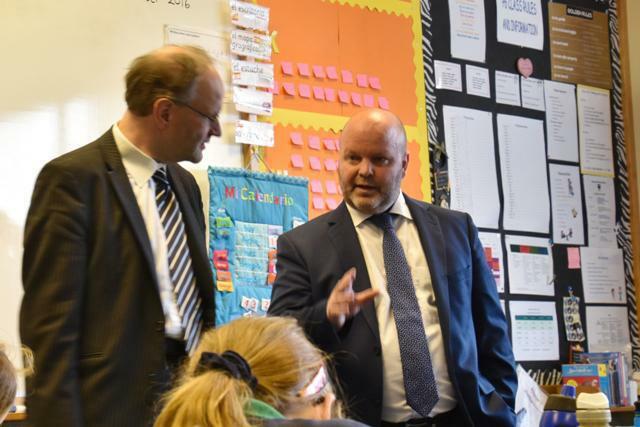 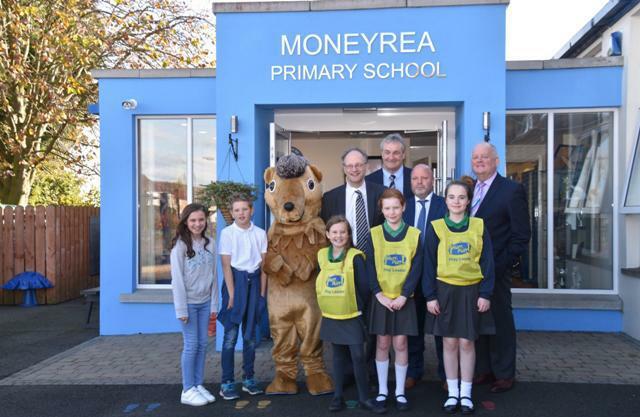 Everyone at Moneyrea Primary School would like to thank Minister Weir for taking time out of his busy schedule to visit the school. 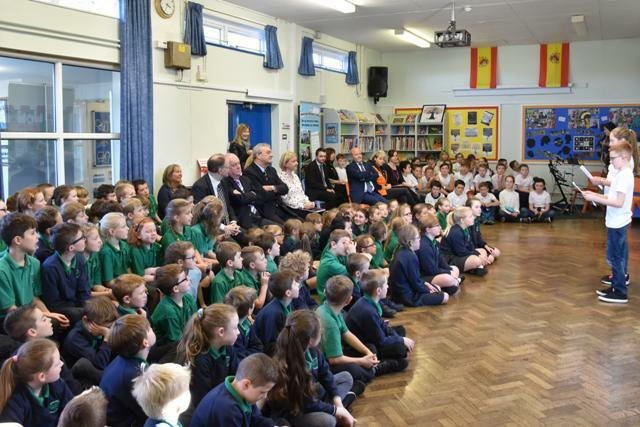 Photos of the visit can be seen below.